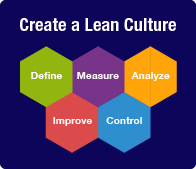 The Lean Six Sigma approach for reducing waste has been proven to be effective in diagnosing the source of operational inefficiencies. Yet why are so many organizations struggling to fully achieve the intended results once the solution is implemented? In this White Paper, you will find out how the AIM change management methodology can be used to augment Lean and improve the chances for full implementation success.